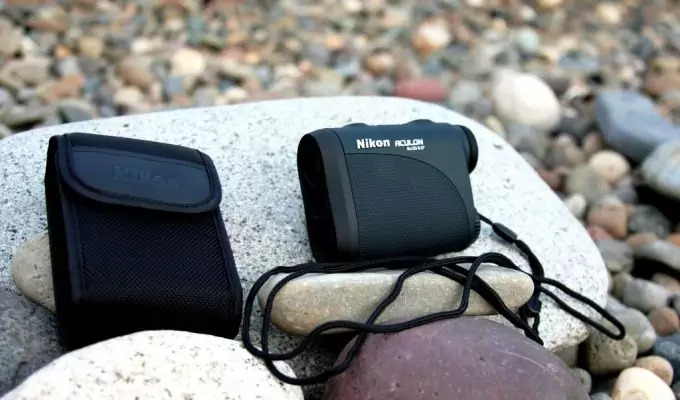 If you’re like us, you’ve surely wondered if there is such a thing as a perfect product, especially when it comes to rangefinders. But if you want to get the best rangefinder for long range shooting, you’ve come to the right place. Even if we don’t believe there actually is a perfect device, we certainly believe there’s the right one for you. That’s why we analyze the characteristics of every rangefinder below in terms of your purpose. 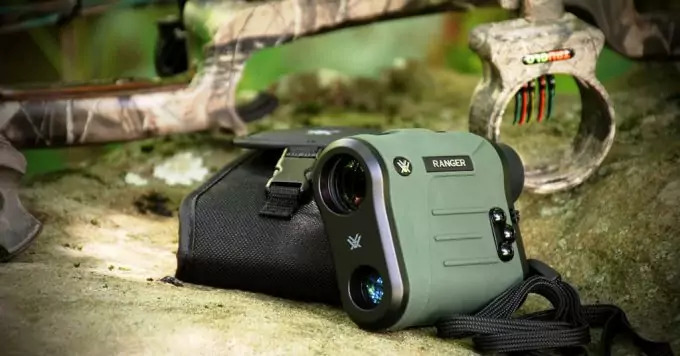 These are the factors that influence your choice, and we’ll discuss them here along with seven amazing rangefinders on the market. Everything is summarized in the table that follows, so you can make up your mind without any troubles. Before we start, it’s obvious that you have to take your budget into account as an essential factor. However, most brands retail very affordable products, so you don’t have to buy an iffy rangefinder from an obscure seller. Also, it’s wise to look at this as a future investment: sometimes it’s worth spending a few extra bucks, so you don’t have to buy another device when this one breaks. Since you’re looking at the long range, you’ll probably need a bigger magnification, somewhere in the ballpark of 6x for both hunting and golfing. Anything above that is even better for rifle hunting, but it will narrow your field of view proportionally, so you’ll have a smaller scope. You should also look at the lens diameter, which tells you if the rangefinder works well in dim light. The bigger the diameter, the more light transmission, and hence, a better operation at dusk or dawn. 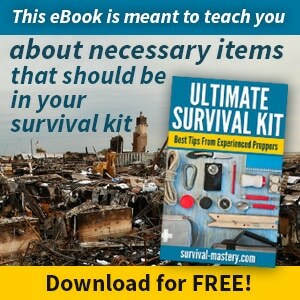 This might be a top priority, especially for hunters, not so much for golfers. Of course, you’re here for the best long range rangefinder, but that means different things depending on how you’re planning to use it. A range of 1300 yards is great for rifle hunting, around 1000 yards is perfect for golfing, while 600-800 yards are good enough for bow hunting. You’ll see the maximum range listed in our official specifications sections. But take into account that that refers to reflective targets. You should take 200 yards out of that distance for trees, and another 200 yards for furry animals. The more accurate a certain rangefinder, the better. A +/-1 yard accuracy is the standard for most rangefinders. However, some may be even better, with a bigger accuracy at below 1 yard. Also, make sure the listed accuracy fits the actual product. If the quality of the rangefinder is questionable, you might get a worse actual precision. But accuracy takes into account not just distance, but slope, temperature, and pressure, so the best items on the market come with complete measurements. 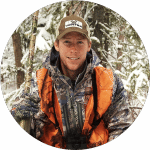 There are various modes to consider for rangefinders that will help with the measurements. 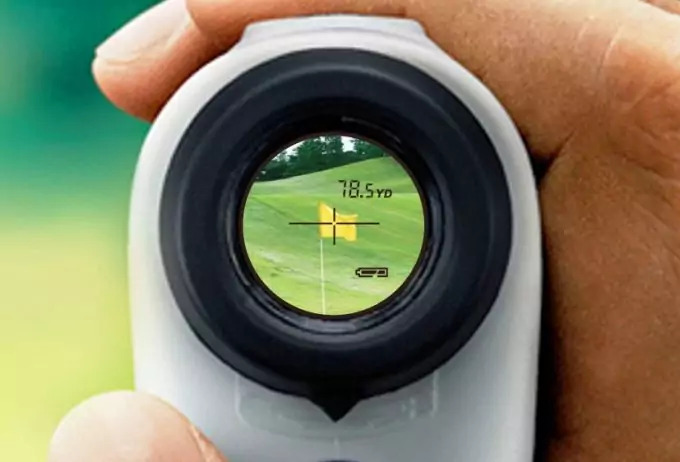 A scan mode alone is better suited for golf, allowing you to follow multiple moving targets. But you also need a scan mode for hunting, along with a speed and flagpole locking modes to distinguish your target from the background. And if you’re into bowhunting, you definitely need a mode that takes into account the slope for angle compensation. A GPS based rangefinder is better for golf and bow hunting because it takes into account the elevation differences. 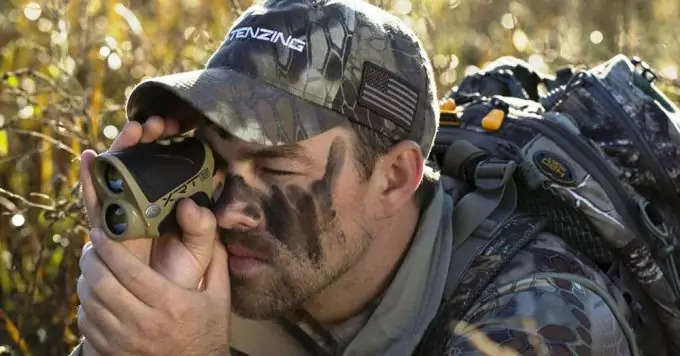 A laser rangefinder is better for rifle hunting though, when you need a more powerful device. The GPS is also intended for pre measurements, whereas a laser will measure the distance ad hoc, by projecting and reflecting the beam onto your target. You need a reliable rangefinder, that can be used regardless of the weather. Make sure your chosen device is at the very least rain proof and has a durable outer case. Some rangefinders have a fog mode, which is a real perk. Your rangefinder should also be light and compact, with reliable optics. Make sure you get one with multiple layers of coating on its lens, so it renders bright enough images. Also, check that the display is easy to read, particularly in dim light, and that you can see the target from the background. With that said, take a look at the products below, and check if they have the characteristics that are most useful for you. The products below are suited for different purposes, and therefore they have different specs. You’ll also notice a varied price pool, but all these characteristics are summarized in our pros/ cons section, so you can make an efficient choice. 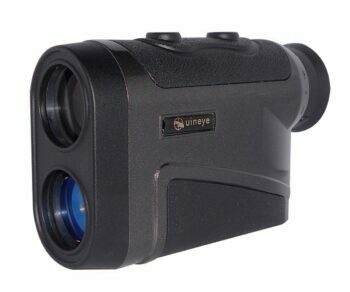 The Uineye Golf Rangefinder is the perfect rangefinder for golf. You’ll see the objects enhanced by 8 times their actual size, so that will shave you a couple of strokes off your game. The 24mm lens diameter is a bit small for increased light transmission, but it certainly works well during the day. The 7° field of view is as narrow as they come, but you don’t need a lot more for golfing either. In terms of long range, we love the specified maximum distance, which is 1312 yards. This rangefinder is pretty accurate too, with a variation of just +/-0.33 yards. However, you’ll only get the SCAN mode. This is great for multiple targets that move, so you’ll be able to keep track of your strikes. You’ll get both yards and meters measurements, and you’ll be able to play anytime you want since this is a water resistant device. 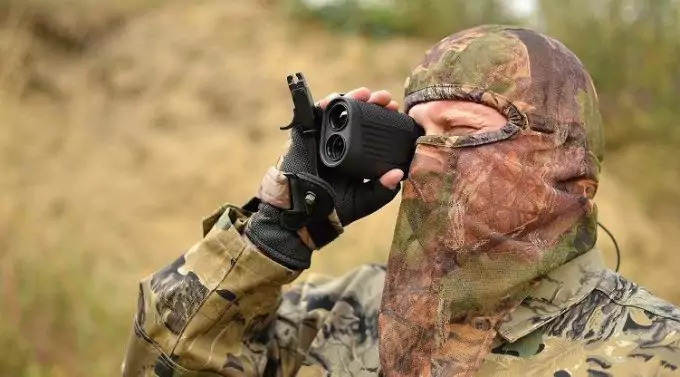 With that said, you can still use this rangefinder for hunting too because of its increased accuracy, if you don’t need other modes that account for elevation or the main target. The only actual disadvantages are that the included case is a bit tight for carrying your rangefinder and that the battery cover might come off when you take it out. 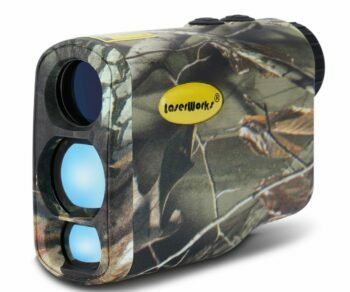 The LaserWorks LW1000SPI Rangefinder is one of the best long range rangefinders for golf and hunting at the same time. That’s because it’s an efficient and precise device, though its accuracy is smaller than that of the Uineye Golf Rangefinder, at +/-1 m.
On the other hand, the maximum range is bigger here, at 1600 yards for very reflective targets. The normal range is between 5 and 1093 yards, though. We do love the 6x magnification, which is great for medium-long distances, but the corresponding field of view is at an expected low of 7.2ᵒ. A strong disadvantage is the small lens diameter of just 21 mm, which makes it difficult to use this rangefinder at dusk or dawn. We appreciate the ease of use, though, with just two buttons, and the fact that this is a waterproof and weatherproof device. It also features more modes than the previous item. Apart from scan mode, which lets you keep track of multiple moving targets, you now get the fog mode and flagpole locking that makes your target stand out from the background. 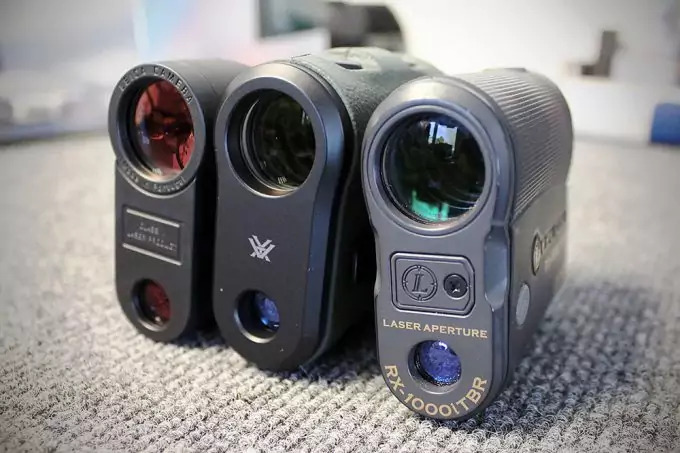 The TecTecTec ProWild Rangefinder has a 6x magnification just like the LaserWorks, but its maximum range is three times as small at 540 yards. This is good more long range hunting, though, especially bigger game, and this is where the 6x comes into play. However, this device has some troubles detecting the low reflective targets. The 24mm lens diameter might not prove so reliable in the faint light of dusk or dawn, but we like the multiple layers of coating applied for increased image brightness. You’ll also get a fairly precise device, with a +/- 1 yard accuracy. The construction is great, considering you have a powerful class 1 <0.5 mW laser that works on a CR2 battery, encased in a water resistant body. 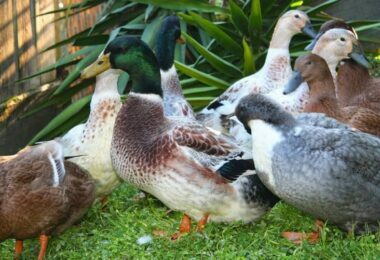 These characteristics render it great for hunting, along with the three modes for speed, scan, and hunt. On the other hand, it’s pretty difficult to see when the laser dot is being projected. Related: Since this rangefinder needs one CR2 battery to work, why not get three so you always have one to spare? We recommend the Viridian CR2 3 Volt Lithium Battery because it comes in a 3 pack, it has a long shelf life and it’s advertised to have a 30% longer run time than similar batteries. 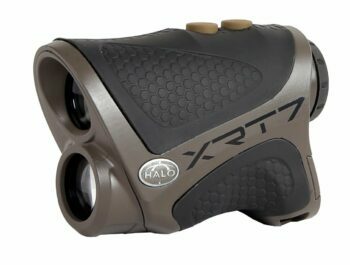 The Halo XRT7 Laser Range Finder is another great device for hunting, but this one is particularly intended for bow hunting. That’s because it comes with the built in AI technology, which stands for Angle Intelligent. That means it will give you the angle, which is a real perk for tree standing or other elevation differences. The 6x is really good for bow hunting, seeing as the maximum distance you can obtain measurements is 700 yards. Also, it’s pretty accurate, considering the +/- 1 yard accuracy. However, consider that this device will give you the angle and range, but it doesn’t do the calculations too. We love that apart from the scan mode, you’ll be getting a dawn and dusk mode too, which is good for faint light and they auto activate. On the other hand, the digital display has a very light color, which is hard to see when going off a gray tree, for instance. 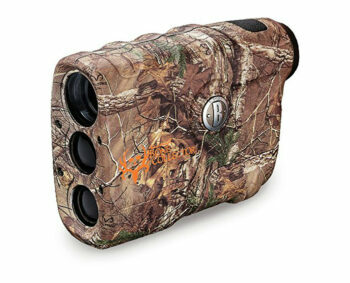 The Bushnell Bone Collector Laser Rangefinder is intended for the medium range bow hunting aficionados. There are two reasons for that: the stated 10-600 yards range and the 4x magnification. So even if the maximum is 600 yards, that only happens for reflective targets. For deer, it only works to about 250-300 yards. Plus, the 4x won’t give you extremely enhanced details, so you won’t be able to use it further away, or for smaller animals. The 20 mm diameter isn’t great for faint light, and it’s pretty hard to spot a target that has a similar color with the background. That’s despite its in view LCD display that’s advertised as amazing. However, this rangefinder is fairly precise, with a +/- 1 yard accuracy. We love the vertical, pocket-sized construction though. This is a weather resistant, one button operation device, with a powerful class 1 <1 mW laser, that comes with its included case. On the downside, it’s pretty difficult to get the 9V battery out, you might need a screwdriver for that. 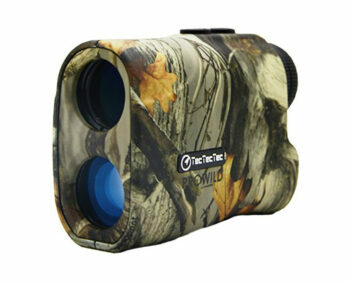 Related: If you want binoculars that will help you see at a long range, we recommend the Bushnell Trophy Binocular. With their 10x, they promise at least 1000 yards distance, which might be better if you’re interested in long range shooting. 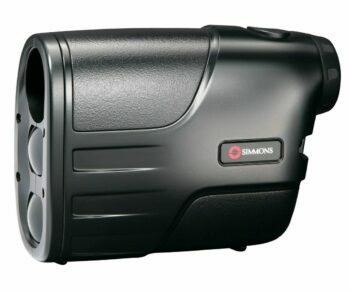 The Simmons 801405 Rangefinder is the lightest rangefinder in our reviews, and it has a compact, vertical design. Just like the Bushnell Bone Collector, this one has a 4x and works up to a maximum 600 yards distance, which makes it perfect for the medium range. And just like we said before, you have to be careful about how you read this maximum range. The 600 yards works for reflective targets. If you’re ranging to trees, the maximum distance becomes 400 yards. And if you’re ranging to furry animals, this distance will be 200 yards max. This rangefinder is advertised as an accurate item, with a +/-1 yard precision variation, but its true precision is more like +/-5 yards. That’s a lot for the short 200 yards furry animals range, though. However, there’s the TILT technology, which takes into account the slope for more accurate measurements. The one button operation and in view LCD display are real perks. We love the powerful class 1 <1 mW laser and the included carrying case. On the other hand, it’s pretty hard to use on dark targets. The Leica CRF Rangemaster 1600-B Rangefinder is the icing on the cake, which is why we saved it for last. It’s the most expensive item in our rangefinder reviews, but it’s one of the most precise. It has an ergonomic design, and a pocket sized build, which makes it great for one hand use. You’ll get bright images, a waterproof body and an easy to read red LED display, with ABC (auto brightness control). The ballistic program gives out an accurate calculation, taking into account the slope, temperature, pressure, and type of ammunition. And the maximum range is 1600 yards, which is the highest range in our reviews. The 7x magnification will render fine details even up far, but the corresponding 6.6ᵒ field of view won’t give you too much scope. The 24 mm lens diameter is a bit small for increased light transmission, but that’s compensated by the Aqua Dura multi coating for the lens. The phase coated roof prism design also accounts for brighter images. 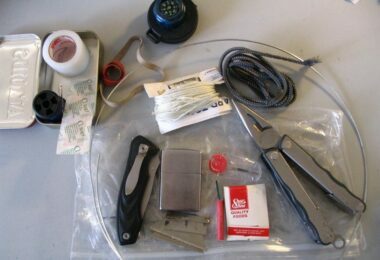 The package includes a lanyard, a CR2 battery, and a carrying case. The plastic housing is carbon fiber reinforced, and submersible. That makes it the most resistant item so far, too. 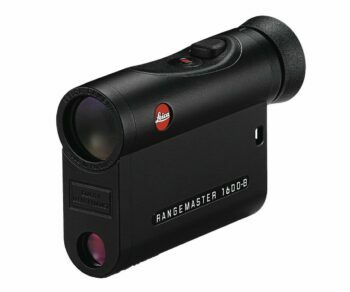 You might be interested in a golf rangefinder, like the one from Uineye, or one for rifle hunting, like the Leica CRF Rangemaster. Or you might love bow hunting, in which case the TecTecTec ProWild might be your thing. All these items are great, some do complex calculations and offer very specific measurements, depending on their multiple modes of use like the Leica CRF. 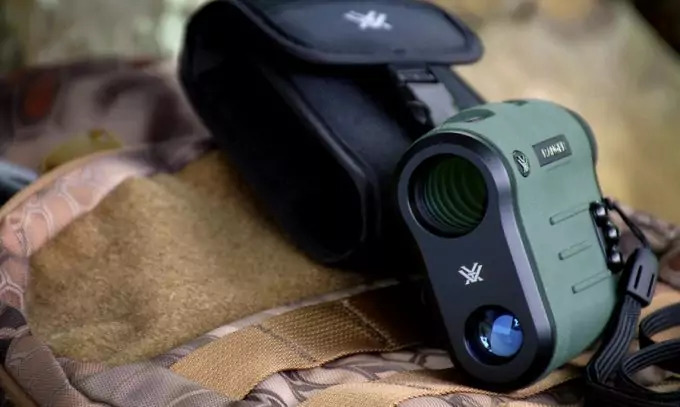 But you might also be satisfied with a more basic, and affordable rangefinder, like the Bushnell Michael Waddell Bone Collector. That said, we’re curious what you’ll pick. Do you need an extremely versatile and accurate rangefinder? What will you use it for? 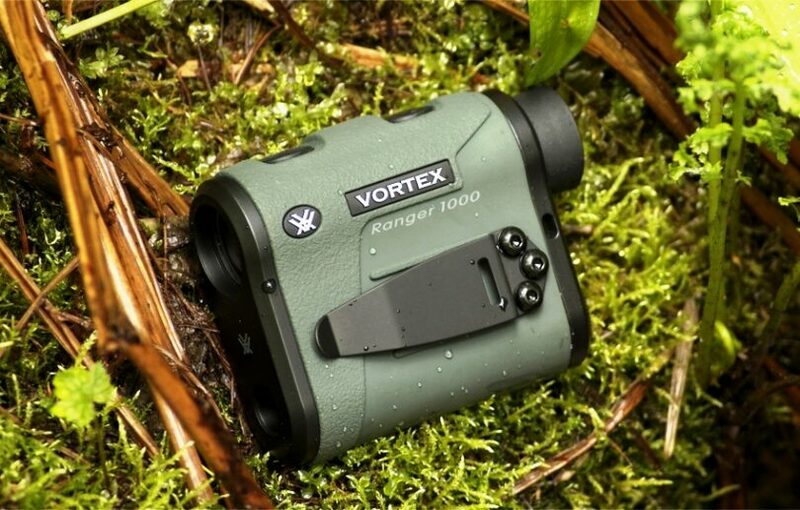 Are there other, better, long range rangefinders we should have reviewed? Let us know in the comments.